Did you know that certain houseplants inside of your home can reduce heating repairs? It’s true. NASA’s houseplant study focused on the correlation between air quality and houseplants, with the findings that air quality is improved when you place specific houseplants in your home that are known to reduce toxins and gases in the air. When your indoor air quality is improved, air filters are cleaner and less clogged, which may result in reduced heating and air conditioning repairs. It is recommended to place one houseplant per 100 square feet of space in your home. NASA identified certain houseplants that reduce common indoor air toxins, such as Benzene, formaldehyde, and carbon monoxide. Reducing these harmful gases that can accumulate in your indoor air can greatly improve your indoor air quality, leading to better heating and cooling system performance and fewer repairs. When the air is not as healthy, your filters will collect more dust and small particles. An extremely dirty air filter can cause a complete shutdown of your system, which will result in the need for furnace and air conditioning repair. 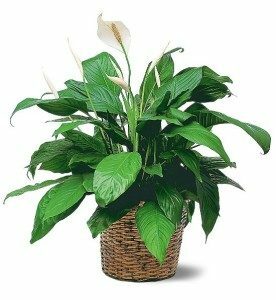 “…You can use plants in your home or office to improve the quality of the air to make it a more pleasant place to live and work – where people feel better, perform better, any enjoy life more. If you have recently purchased new furniture, appliances, or are using harsh cleaning chemicals in your home, the identified houseplants will eliminate the harmful gases that are in your indoor air from those products. Another way to keep the pollution level reduced in your home is to replace your air filters once a month, or as recommended by the manufacturer. In the winter and summer months, we tend to keep our windows closed more often when the HVAC system is running, so there is more opportunity for toxins to collect in the air. These months are particularly important for you to have regular air filter replacements. If you need a furnace or air conditioning repair, installation, or HVAC maintenance in the Greensboro area, contact Berico Fuels at 336-496-2509 today. We will help you maintain a healthy indoor environment in your home by keeping your heating and cooling system inspected and repaired, and by providing you with tips to keep your indoor air quality at the highest level.